Born and bred in a merciless climate. Hot summers, cold winters, heavy rains, and drought; a never ending onslaught that will either kill him or make him stronger. From the very beginning he has adapted to this environ and leads his kind in both ferocity and tenacity. Every day challenges his strength and mettle. The striped cheeks, olive and bronze war paint with ornamented mottling disguise this skillful and discerning predator. Engaged in battle, this ferocious creature has no equal. Exceptional strength accompanied by aerial lashings will test the true courage of those brave enough to dabble with his unique kind. If the opponent is worthy and steadfast they may join the realm of those that have admired his sleek, muscular, and captivating piscatorial body deserving of the highest esteem. 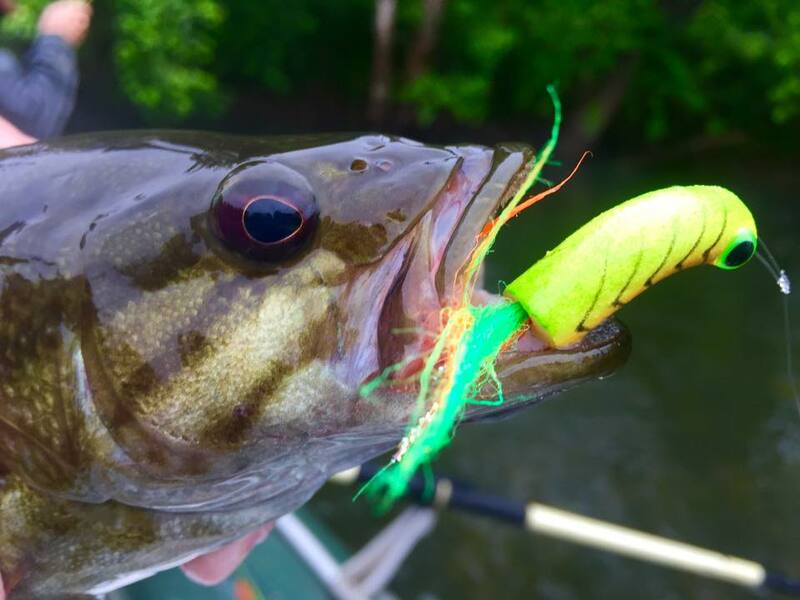 The smallmouth bass (Micropterus dolomieu) enchants the minds of anglers seeking a truly spirited and fulfilling quarry in the greatest and lesser known rivers of the Southeast. Tracing it’s lineage to ancestors from the upper Mississippi river and St. Lawrence-Great Lakes system, the smallmouth bass has successfully spread throughout the United States and found it’s home east of the Appalachians just prior to the Civil War. The hardiness of this species has allowed it to take up a wide variety of habitats while many other fish of the Southeast are limited in their ranges. Truly crafted as an efficient and deft predator, the smallmouth is an opportunistic hunter. As the thermal environment ebbs and flows during the year our smallmouth regulate their metabolic needs with a grand diversity of forage species in our river systems. Crayfish, sculpins, baitfish, hellgrammites, cicadas and damselflies are only just a sampling of what’s cooking on a daily basis. 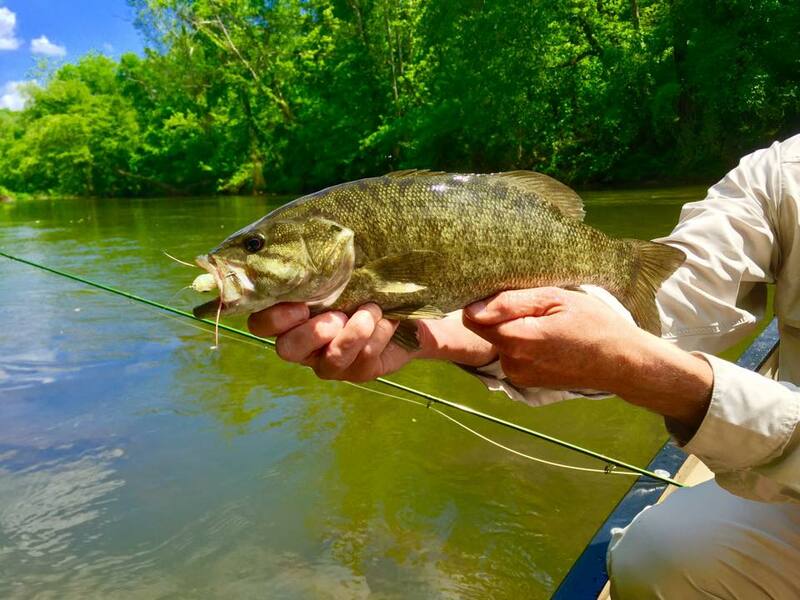 Often seeking refuge in dark ledges, logjams or undercut banks, the smallmouth will ambush their prey and be found in water akin to wild brown trout. Riffle laden, rocky, and structurally complex areas of our rivers are inhabited by this brilliantly adapted fish. 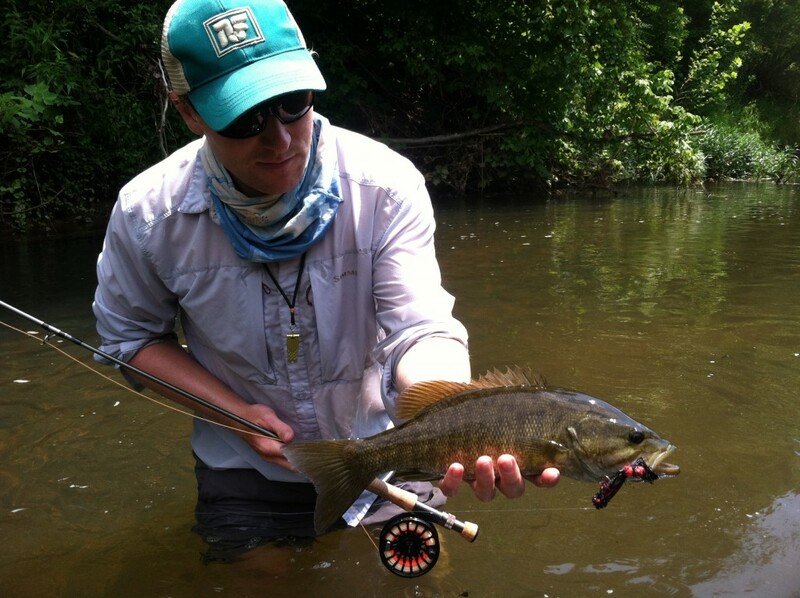 Targeted on foot or via watercraft, the smallmouth epitomizes the best qualities of a dynamic game fish on fly tackle. Throughout the six to seven month period of activity the diversity of flies and methods in our pursuit is incredibly broad. From sinking lines and multi hook flies to surface poppers and frog imitations the behavior of this fish dictates how we target them. 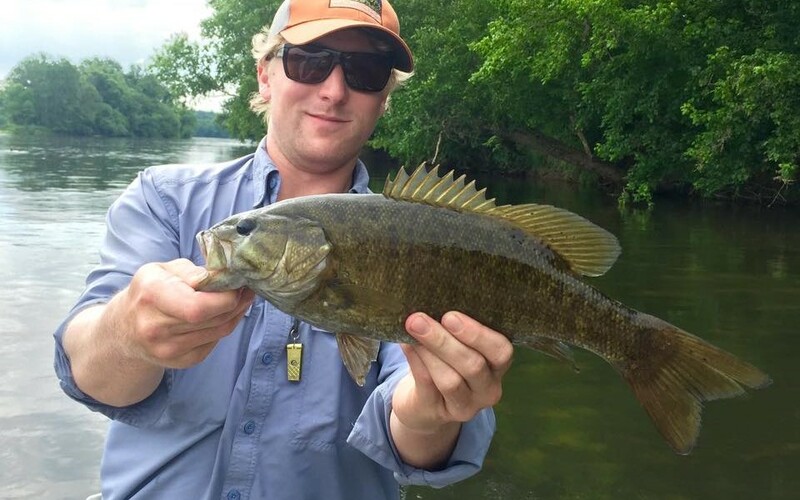 Often striking with phenomenal power and conviction, the bronze shoulders and wide olive flanks of the smallmouth utilize river currents and their natural vigor to test even the most experienced anglers’ fortitude. Bleary eyed and fairly motivated, I leave the comfort of my hammock flanking the beautiful, serene morning waters of the James River. I stride slowly waist deep into cool and inviting late summer currents searching for where my fish will be. The buzz-cracking of cicadas jars my awakening senses and indicates to me that a popper will be a suitable addition to my tippet. 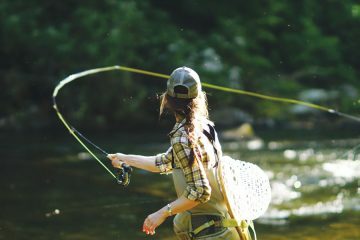 Long and tight loops form in my line landing the bug a foot off of the bank, with a subtle mend and gurgle my fly comes to life. As it drifts a wake displaces water as I discern a nose and slurp, the bug vanishes. A big strip set electrifies the line and the fish leaps with a flip and tumble displaying his strength and beauty. He buries his head and the fight is on. Left, right, ripping line, testing drag and the limits of my tackle this fish is a force to be reckoned with. After many blistering runs and jumps, the familiar sand-papery skin of the lower lip rests calmly under my right thumb. The scarlet eye of this tired and trusting fish peers at me as he rests peacefully in the water, gaining strength. 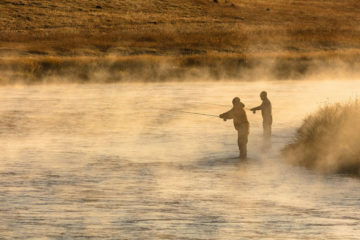 This moment of serene admiration connects our worlds and fills my dreams of wild places and wild fish. As I watch him swim away, the satisfaction of preserving life, while fully enjoying it becomes present, and awe inspiring. Previous ArticleHumans of the A.T.